Thanks for visiting our Bath Remodel College Station Remodeling BCS Eagles Nest portfolio. Take a tour of the project with the homeowner. Thank you to Pat & Mike for welcoming us into their home and for being such great clients. We are very grateful to be part of remodeling their master bathroom and guest bath. 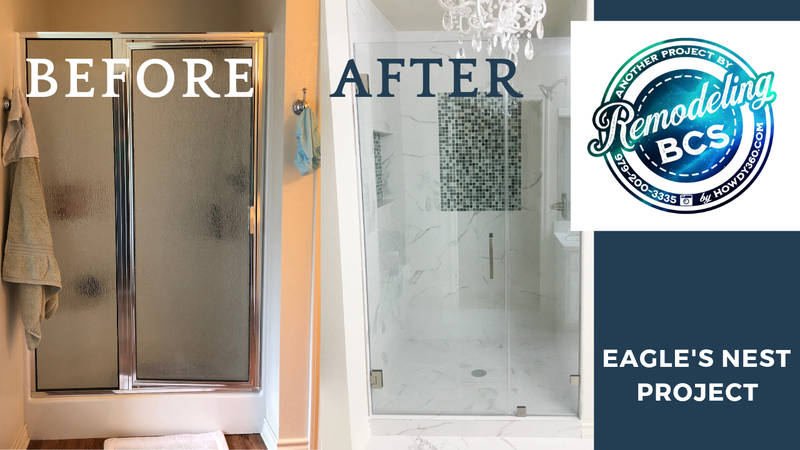 Our bathroom contractors are very proud of how this project turned out and we are glad to share our work to help anyone who is looking for kitchen and bath remodeling contractors near College Station. Looking for a bathroom remodeling contractor near me? Give us a call for your next bathroom renovation. Our local bathroom remodeling contractor offers large and small bath remodel services. We also provide kitchen remodeler and home remodeler services.